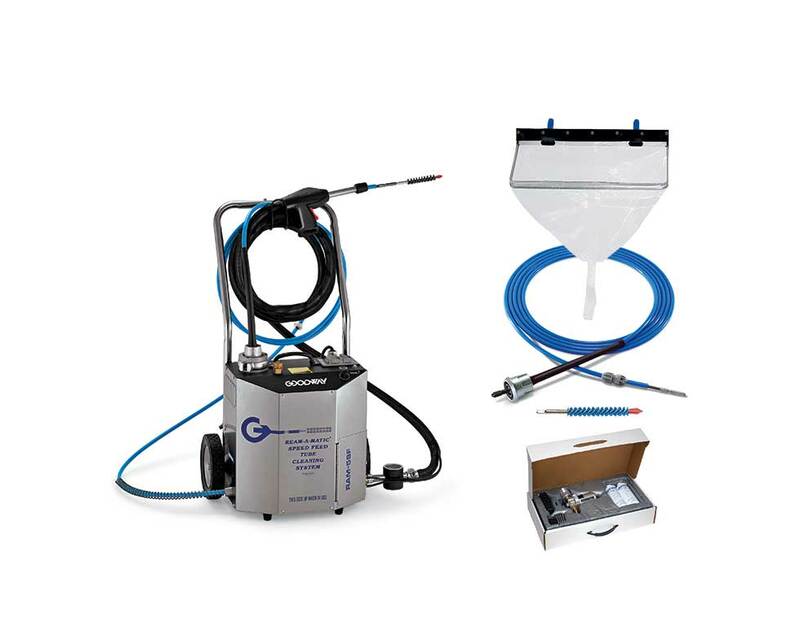 RAM-5 Tube Cleaner Kit represents our most commonly used package for cleaning chiller tubes up to 1" I.D. 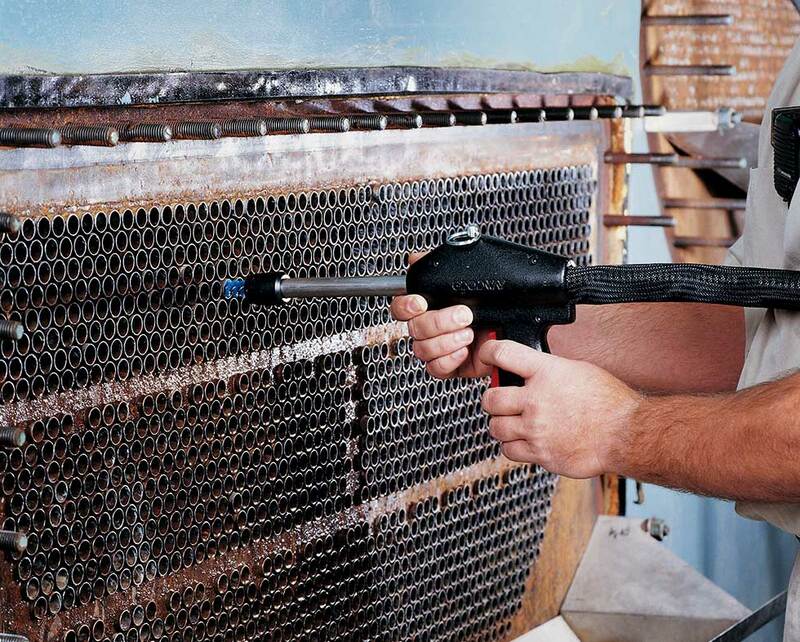 The patented RAM-5SFVS Speed-Feed Tube Cleaner makes tube cleaning quick and easy with its revolutionary Speed-Feed gun. It is the machine of choice among contractors, managers of buildings and facilities with large tube bundles. RAM-5SFVS Speed-Feed Tube Cleaner (available in various input power options) with Speed-Feed gun, 2 flexible shafts, Chiller bib and frame, 25 nylon brushes and a shaft repair kit.